Prompt: Think back to your childhood home. Describe one of the rooms in your home. Prompt: Where is the childhood place that your heart years for? Or that you would rather forget? What was really great about this prompt when it was suggested in my reading group was how quickly everyone had something to say as a brainstorm. We weren’t sure this was enough of a topic, but after five minutes of all of us unintentionally spitballing, it was clear that we had a winner. I believe my initial first draft was over one thousand words and when I go back to edit it for public sharing, there will be more memories that I will want to include and it will continue to grow orgnaically. I’d love to see what you come up with. It’s taken me all day to be able to sit down and try to put my thoughts to paper, as it were. Growing up I think I was pretty typical in that I wanted to be EVERYTHING: doctor, lawyer, Indian chief as the saying went back then; nurse, cowboy, librarian, space explorer, writer, journalist, astronaut, superhero. The 1970s were a time of change and women were moving into the forefront of jobs and careers, taking on more mainstream male oriented jobs, getting involved in politics and becoming more seen and heard. In Queens, where I grew up, we had Liz Holtzman and Bella Abzug and Geraldine Ferrarro. Being born in 1966, as with Star Trek, I wasn’t able to watch the original airings of Batman, but I lived through their reruns. 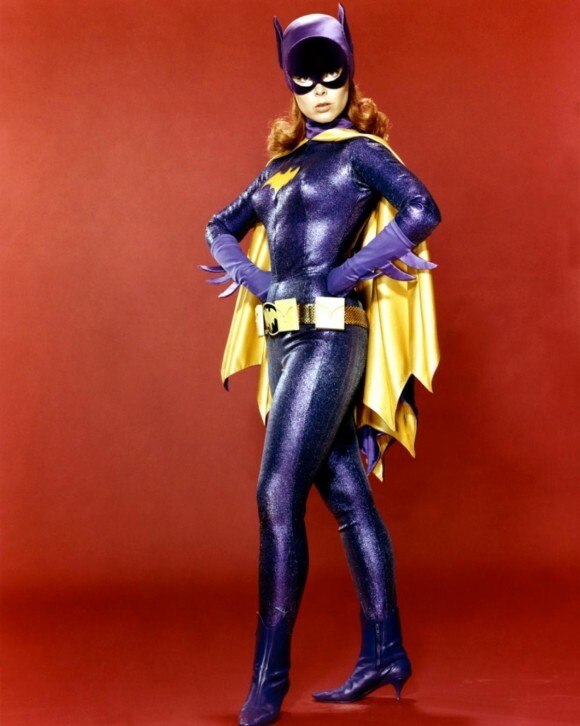 I loved Batman and Robin but I especially loved Batgirl. Quiet, mild-mannered librarian, pull a lever or push a button, her vanity rotates and she’s Batgirl, fighting crime alongside the guys. In fact, sometimes, a lot of the time saving their bacon in the nick of time. Last week for gishwhes, I cosplayed as Batgirl. She was the only one who could get me into a costume in public. I’m so glad I was able to do that before she passed away. 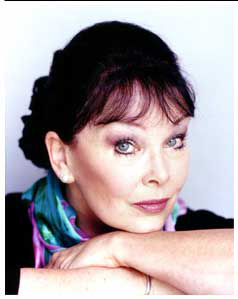 Yvonne Craig was gorgeous, and she was not only a pretty face. She rode the motorcycle on and off screen and did her own stunts. I would hazard to say she didn’t get paid extra for that either. She began in ballet, and shared the screen in two films with Elvis Presley. After television and movies, she had other very successful careers, one as a real estate broker and another in the prepaid phone card business among other ventures. She spent time attending conventions and wrote a memoir, From Ballet to the Batcave and Beyond. 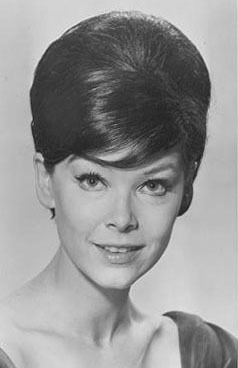 Most recently before her illness, she was the voice of Olivia’s grandmother on the animated children’s series of the same name. She was a hero of mine. Her hair was dark and short like mine. She played with the boys like I did. She was kind and smart and thoughtful and she was the perfect role model to look up to. I am so sad to see her passing. I’d like to share some links and videos that I remember from my childhood. I hope you enjoy them as much as I do. You will truly be missed and remembered. My Dad used to eat peanuts all the time. He’d get this big bag of peanuts still in their shells. He’d crack them open and go through that bag in one or two days. He’d toss the shells in a paper garbage bag next to his chair, but on occasion he’d miss. Some days before he cleaned it up it looked like the floor of a country bar or a Ground Round in the “old” days of my childhood. I still flashback to my Dad sitting in his blue recliner in our den when I see those big bags of peanuts in the shells. I used to love Nutter Butter cookies because of him also. And Vienna Fingers. It’s amazing what pops into your head from childhood, especially where food is related. What was your favorite television show as a child? What is your current favorite television show? Which show would you watch over and over again regardless of time of day or how much of the beginning you’ve missed?